Very nice, awesome and ride quality car.I like this car.Nissan is a global brand, no compromise from safety. Share your experiences with Kicks? 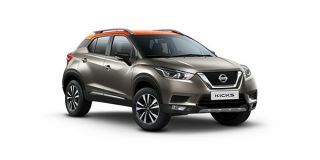 Can Nissan's new SUV, the Kicks, succeed where it's platform sibling, the Renault Captur, floundered? Can it take up the urban SUV mantle from Hyundai’s Creta?